I LOVE BODY SCRUB. It is one of the must-have items in my bathroom. I usually will grab any body scrub product that smells sweet and/or with my favorite essential oil, after all, a shower is one of my favorite me-time. It's when I get to pamper myself head-to-toe after a long, long day busy with work. Now you know how happy I am when I received this all natural coffee scrub from Dirty Benefits! 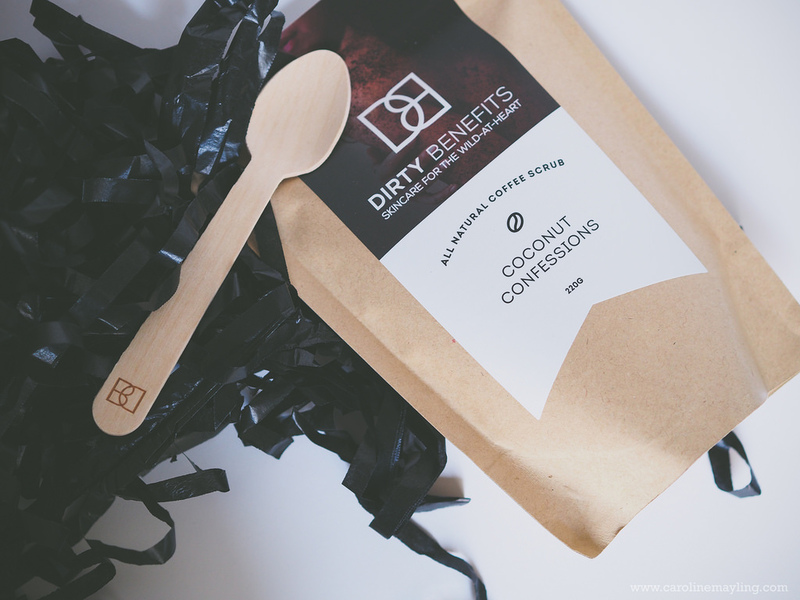 There're two types of coffee scrub that available on Dirty Benefits - Classic Obsession Coffee Scrub and Coconut Confessions Coffee Scrub. 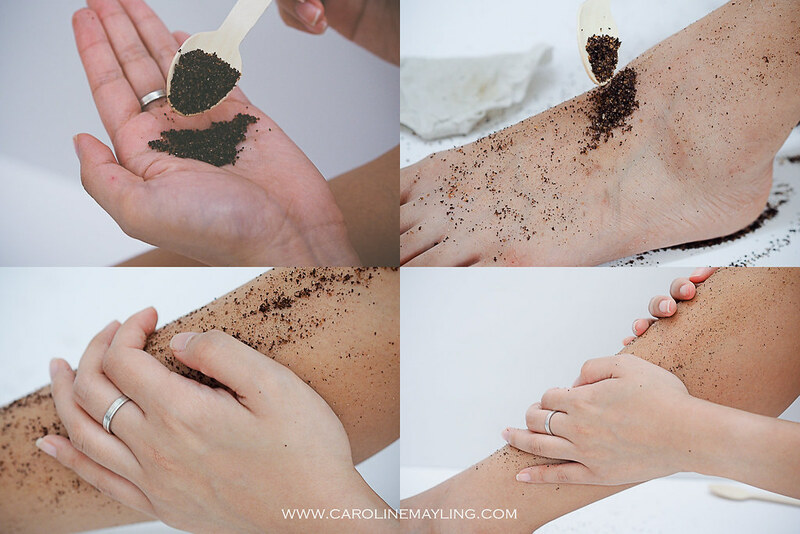 Each packet of coffee scrub comes with the wooden spoon for you scoop out your coffee scrub during the shower. 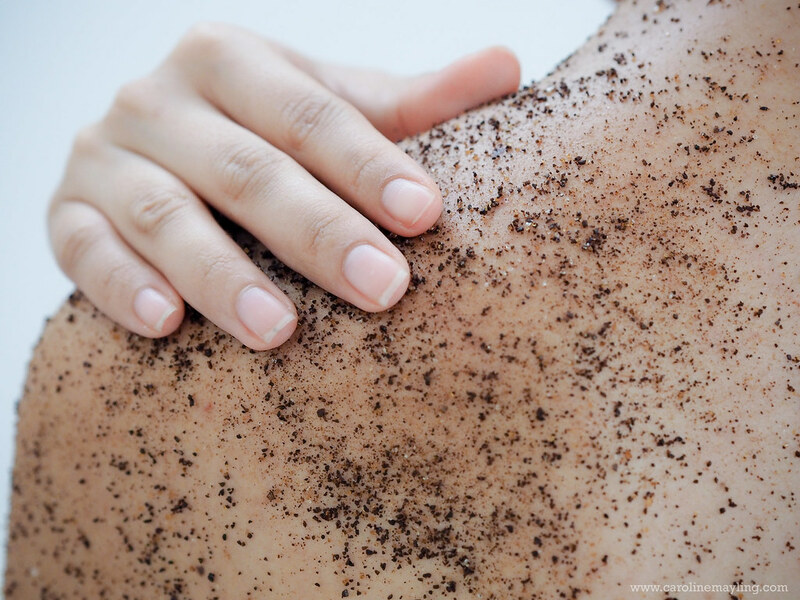 With regular use of this all-natural coffee scrub, you can now bid goodbye to cellulite, scars, stretch marks, eczema, psoriasis, age spots, acne and other tough skin problems. Raw Brown Sugar and Organic Cane Sugar will gently exfoliate the skin while removing dead skin, acne, whiteheads, blackheads and other skin blemishes. Pink Himalayan Salt will detoxify and relief the skin from stress while increasing circulation and leaving your skin soft and bouncy. Cold Pressed Grape Seed Oil tightens the skin while keeping acne at bay with its anti-inflammatory and antioxidant properties. Leave on to dry for 5 minutes. ** For best results or to tackle tougher problems, you may leave on for 10-15 minutes. I am never a coffee person. But, I really love the how my shower filled with the fragrant coffee aroma throughout the shower whenever I use this body scrub! I really love how it exfoliate my skin gently yet leave it refreshingly clean and yay to smoother skin! Most importantly, it also moisturizes my skin at the same time, leaving my skin hydrated even after the shower. 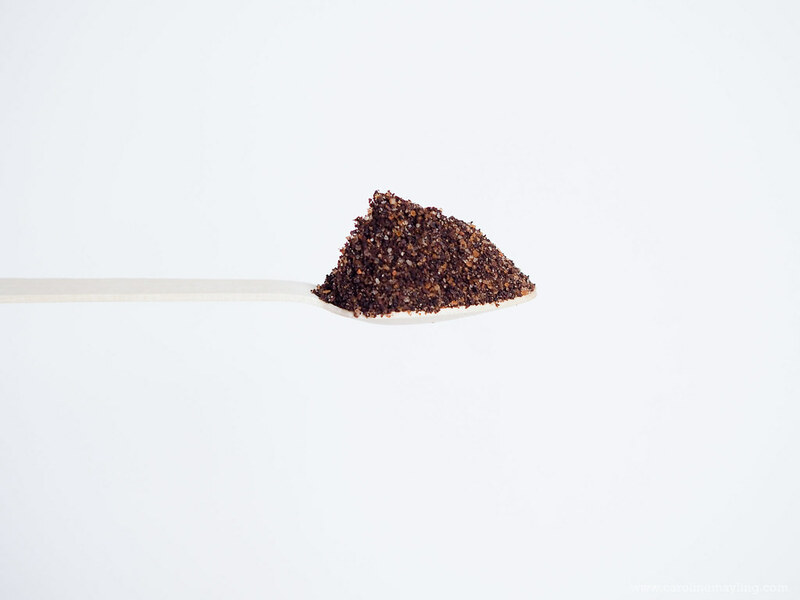 This all natural coffee scrub can be used on both face and body, however, if you're having a very sensitive skin like mine, you may avoid applying it on your face. p.s: Use "DBCAROLINENG" upon checkout order to enjoy RM10 OFF your purchase on www.dirtybenefits.com. love coffee either in drink of skincare product...hehhe....love ur pictures! thank you! haha i think u'll love this coffee scrub too! ur bathroom smells like coffee during shower! I don't drink coffee, but I wouldn't mind using it as a body scrub! I heard it does wonders for the skin.